What’s that on your Face? Tiny pieces of plastic polluting microbeads! Tiny particles of plastic are ingredients in thousands of personal care products sold around the world. These microbeads, hardly visible to the naked eye, flow straight from the bathroom drain into the sewage system. Wastewater treatment plants are not designed to filter out microbeads and so they end up in our oceans. Sea creatures absorb or eat microbeads. These microbeads are passed along the marine food chain. Since humans are ultimately at the top of this food chain, it is likely that we are also absorbing microbeads from the food we eat. Microbeads are not biodegradable and once they enter the marine environment, they are impossible to remove. 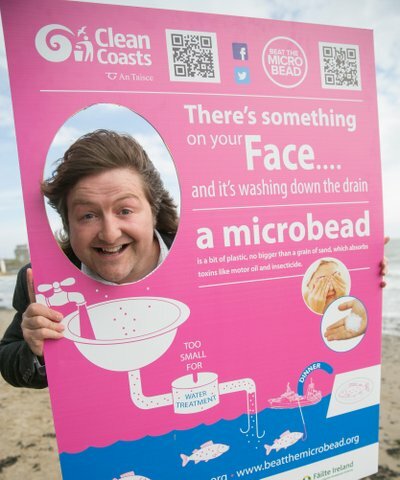 The Plastic Soup Foundation launched the Beat the Microbead campaign in the summer of 2012 in partnership with the North Sea Foundation. The combined efforts of these NGOs has proven very effective. Clean Coasts are delighted to be part of the campaign which is supported by an ever growing number of NGOs around the world. • Governments to ban the use of microbeads in personal care products NOW. The Beat the Microbead App scans the barcode of personal care products informing the consumer whether or not the product contains plastic microbeads. Products are divided into the categories Red, Orange and Green. 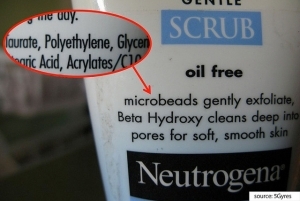 Green: the product does not contain microbeads. Help us to Beat the Microbead and build Ireland’s database on personal care product that have got or have not got microbeads by filling out the survey below! 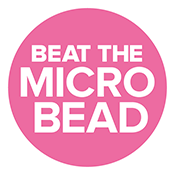 Help us build the Beat the Microbead database in Ireland!